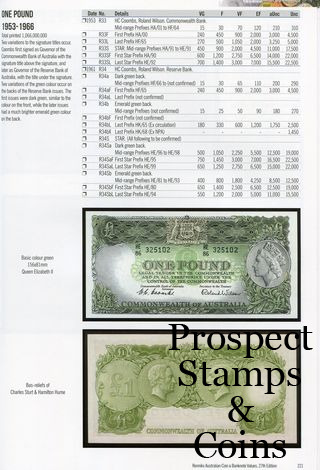 This comprehensive guide to Australian Coins and Banknotes values contains over 3,000 photographs, in full colour and thousands of valuations updated and reviewed. This book is a must for all collectors, whether you are just beginning or an advanced collector. 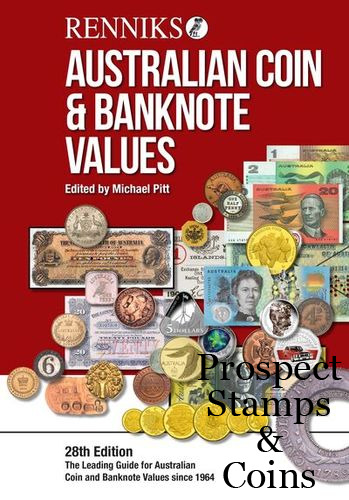 This book contains the latest new releases from the Royal Australian Mint and Perth Mint. 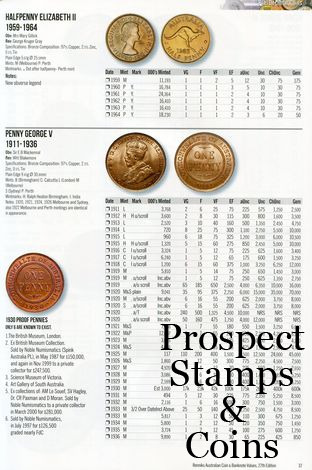 All prices have been updated and with over 300 pages of information, this is a must for all collectors. Includes coins issued up to June 2017 issues. This book has been in publication since 1964.